Corinne, Rosie, and Tim fend off clowns, trees, and swimming pools to discuss the trauma-inducing Poltergeist from 1982. 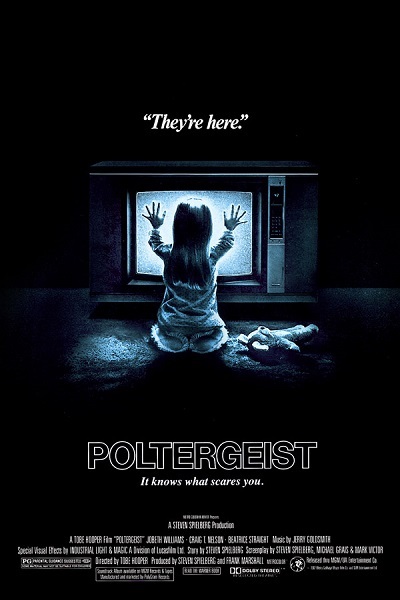 Topics include the controversy over who actually directed the film, the supposed 'Poltergeist curse,' and the surprisingly strong roles for women in the movie. Warning: Contains explicit language, spoilers, and obstetric symbolism. Looking for a support group to cope with childhood memories of this movie? Have any good tips on how to psychically clean house? Need advice for keeping your kitchen furniture on the floor? Leave a comment below and keep the discussion going.